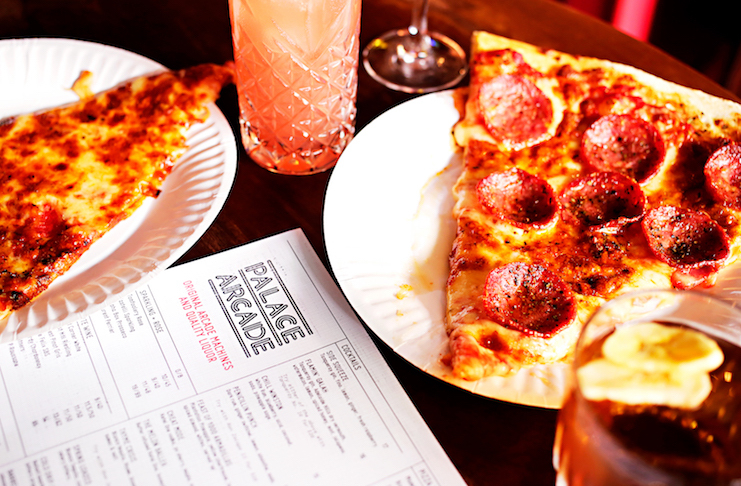 Since their grand opening in late 2018, the team from Palace Arcade have already established themselves as one of Perth’s favourite new places to hang, bringing us a fresh take on retro gaming, with a side of pizza and beer. It’s now a few months on, so we thought it was time to check in with the guys that started it all to see how things have been going and what plans they have in store for the future. We chatted with co-owner Daniel Moore to get the lowdown. Let’s get to know you. Who are the owners, and how did you come up with the idea for Palace Arcade? Palace Arcade was started by three co-owners, brothers Saran & Gaurav Bajaj, and myself. Saran has been collecting arcade games for over 10 years, maybe closer to 15, and we were just hanging out at his warehouse eating pizza and having a few drinks when the idea came to us. We thought, if there are other people out there who love these vintage games as much as we do, we could use them to bring a unique offering to Perth’s growing bar scene. It seemed like a natural progression, the idea felt really organic. Your games all seem to be in mint condition. Where do they come from, who looks after them, and will we be seeing new games in the future? The games come from all over the world; Japan, the USA and other parts of Australia. We’re lucky to have in-house expertise when it comes to maintenance, although we do sometimes have to call in the professionals for some of the more complex repairs. Saran has a lot of knowledge about the machines, and nothing hits the floor if it doesn’t meet his high standards. 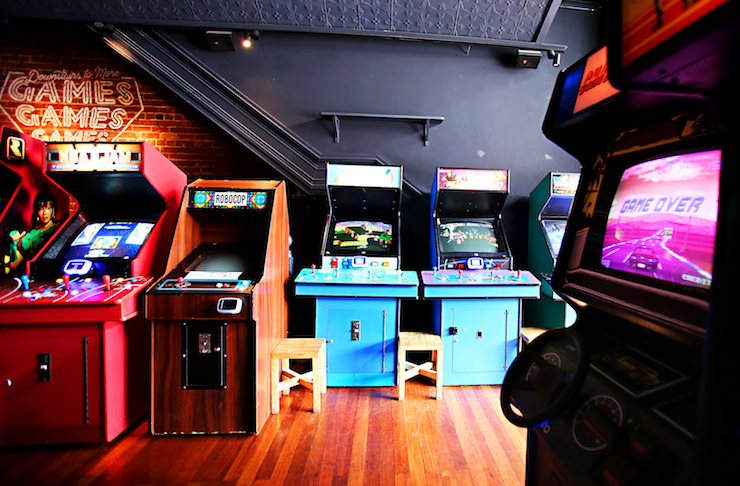 There’s definitely more to come, in fact, we’ve been making changes since we first opened; we brought in the Nintendo cabs, as well as all the new pinballs and a few other games like Buck Hunter. We plan to continue rotating some of the games to keep things interesting. How have the people of Perth responded so far? The response has been amazing, even overwhelming at times. We’re really loving that we’ve been able to add to the gaming culture with a venue that’s fun for everyone. We’ve also been hosting a huge amount of corporate and private functions, which seem to be a big hit. It’s a great venue to chill out and catch up with friends and play some games that a lot of people haven’t seen since their childhood. It’s nostalgic, which I think is what makes it stand apart from other bars in Perth. What can people expect when they visit Palace Arcade? 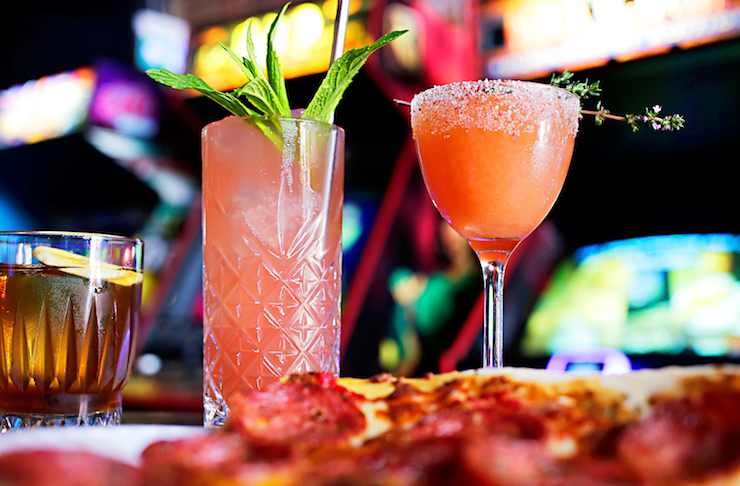 When you stop by Palace you can expect a warm and friendly welcome, served up with quality drinks (including rotating beers and expertly made cocktails), and delicious pizza by Mack Daddy’s. You can re-live some of your favourite childhood memories, and have a bit of friendly competition with your mates. It’s great to see that other people seem to like hanging out here as much as we do. Any regular or special events we should know about? We recently announced our first Streetfighter comp which is coming soon, and we’ve got a few other games in mind for more comp nights. We’ve also been throwing around the idea for whisky and scotch tastings; our bar team are really passionate about top quality liquor and love to share their knowledge. And then there’s our free game night happening once a month. Any plans for expansion or other changes in the future? There sure is, we’ll be announcing our second location soon! You can keep up to date with what’s happening on our Instagram and Facebook pages. Until then, check out more awesome things to do in Perth.